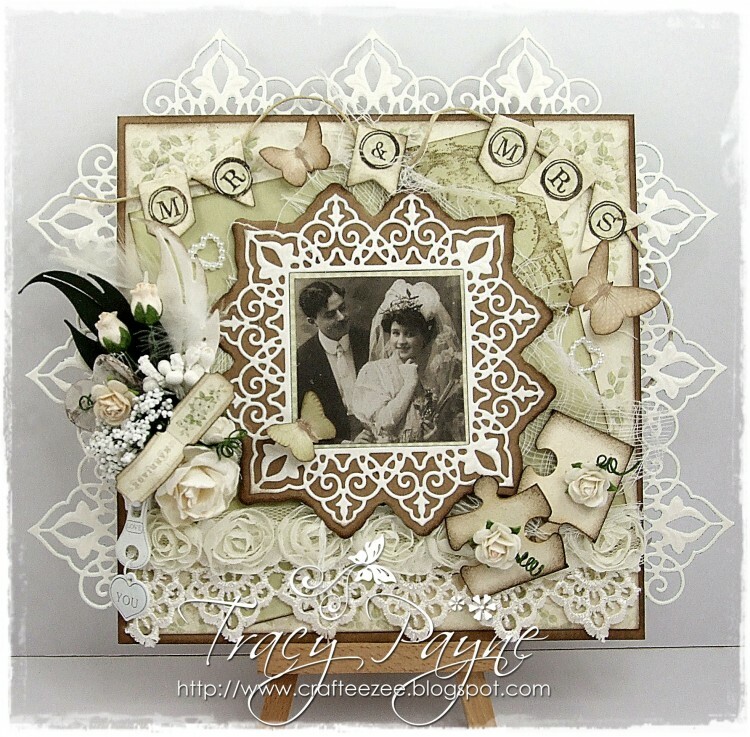 Tracy here sharing a wedding card made with the gorgeous Pion Design Vintage WeddingCollection. 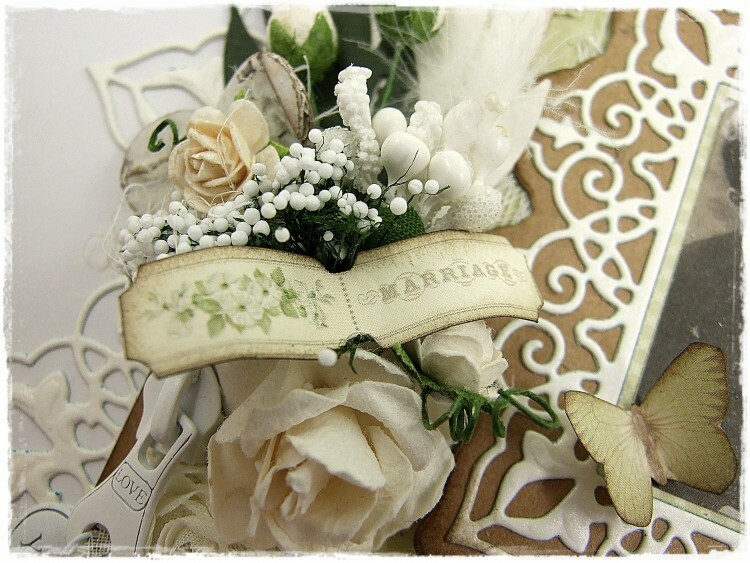 I cut a small ticket and added to the floral arrangement. How cute is that! Love the die cuts, even the cute puzzle pieces!